We have a pt in ICU that has a PICC that is no longer in the SVC, but in the subclavian vein, it was inadvertently pulled out 6 or so cm. The doctor says it is ok to use. The ICU staff undertand that it is no longer considered a central line. Is it ok to use cathflo? it has 3 lumens & 2 do not flush. Oh the Doctors always say that because a lot of them do not realize that the riisk of complications (especially thrombosis) increases significantly the further you get away from the distal SVC. The only time we will leave a PICC in a sub-optimal position is if for anatomical or pathophysiologic reasons it can not be placed in the SVC or IFV. So...we replace these lines ASAP. On occasion I have left one in if I know for certain the therapy iswill be complete in the next 24 hrs and the line will be dced. If the patient has good peripherals and is almost done with treatment I will sometimes d/c it and place a peripheral. This is based upon the prescribed therapy though. Sorry,back to your question,Yes you can use Tpa if needed. Why are you not replacing this line though and what can you do to prevent catheter migration? The major issue is a catheter that is too short occludes more often and has a risk of thrombosis that is greater. You will have repeated declotting. 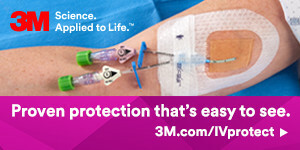 Cath-flo is only approved for use in central catheters. If you use cath-flo for this device it would be an off-label use. If you have one lumen open consider an over the wire exchange of the catheter. We do not leave PICC's with the tip in the Subclavian vein in place but replace it as it is too risky. You run a higher risk of complications and there is always someone who thinks it is still a central line and uses it as such. Best to start over with a new line.